This labor was no fairy tale. Laurel was dreaming of a fairy tale birth: easy and carefree, so natural that it felt effortless. During her labor she imagined being Snow White in the Disney movie, Snow White and the Seven Dwarfs. In the fairy tale of Snow White, she would sing to the birds and dance while cleaning and making all those beds; everything was easy for her. Hoping to feel like singing to the birds, her singing sounded more like screams at times and there was no whistling while she worked. Longing to dance during the work of labor, like Snow White in the movie, walking was too painful and she did the last thing she expected to do: lie down to labor and deliver. She was thinking about her mom and three sisters and their birth stories. Each had their babies at home and the deliveries were under three hours. Coming from the Netherlands, Laurel grew up seeing lots of babies born at home. It was very much the norm for her family and it was a big part of her reason to have her baby at home. 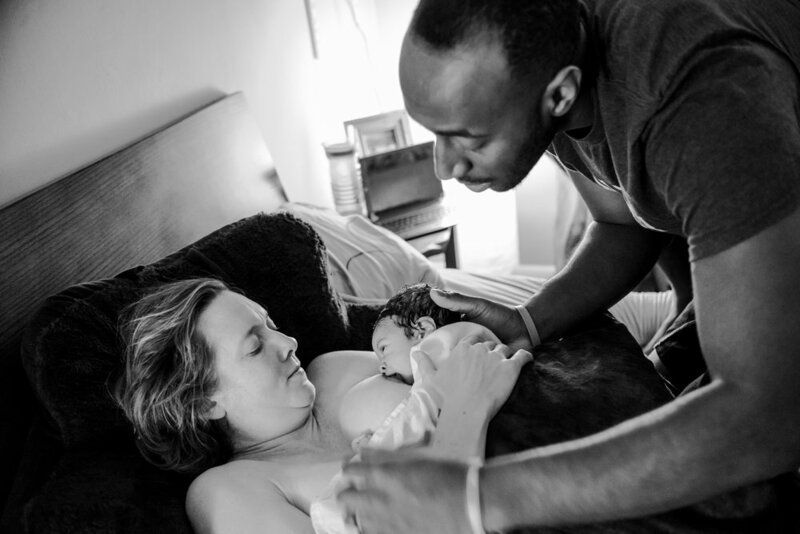 She was hoping for the same easy and carefree delivery as her mom and sisters with her first birth, but that was not going to be her story. Her baby boy was born at home surrounded by the loving support of her husband, the midwife, and myself simple and uncomplicated. And even though her birth was much longer and more intense than she expected, she did get her fairy tale ending. Laurel is married to a handsome prince and they have a beautiful baby boy and are living happily ever after. Images edited using Birth Becomes Her Lightroom Presets and Brushes.